"X-Men Origins: Wolverine" is still six months away from releasing but more X-Men Origins news has come our way. The official synopsis for X-Men Origins: Magneto has been revealed through the subscription trade magazine Production Weekely! The film, which has David Goyer attached to direct will see the young life of Erik Lehnsherr or later known as Magneto. Goyer, who also wrote the screenplay has a few other projects on the burner, so there is no telling when X-Men Origins: Magneto will actually get off the ground, but for now here's the official synopsis. 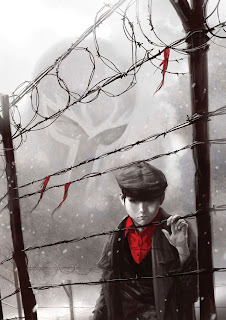 "The original X-Men film began with a prologue that showed the character as a child being led to a concentration camp by Nazis and that is the period in which the Magneto film will take place. This setup will allow a future villain to at least flirt with the designation of protagonist since the character will be seen almost exclusively in his formative years. The storyline will heavily involve Professor X, the wheelchair-using X-Men leader. That character was a soldier in the allied force that liberated the concentration camps. The professor meets Magneto after the war and while they bond over the realisation that they are alike in their special powers, their differences soon turn them into enemies." Clearly FOX intends on recasting the role of Eric/Magneto, although in X-Men: The Last Stand we saw Ian McKellen digitized 25 years younger, don't expect the studio to do the same here in Origins. The role will definately be recast, although Ian McKellen is attached for some narration and possibly a cameo towards the end of the film. The main question is how much time will be spent with the very young Eric and how much time as a young adult? The more screentime with a kid kinda scares me. I hope that we will see more of a young adult than a pubecent kid. What's your take on the synopsis? Are you interested in a period piece for X-Men Origins? Who should play the young Magneto? Just an idea, Ewan McGregor once he has aged a bit.